Could my job as a computer programmer causing me to have pain in the neck? Need to know ways to get rid of pain in the neck soon. My name is Steve and I have been suffering from this unrelenting pain in the neck for the past six weeks. I work as a computer programmer and due to my work I have to spend quite a lot of time in front of the computer. I was wondering if that was what was causing this pain. I have tried to take medications for this which helped for some time but then the pain comes back. I am also finding it tough to move my neck. I was wondering if anybody can suggest ways to get rid of pain in the neck. Complaints of pain in the neck is quite common among individuals working in front of computer for long hours or driving long distances, etc. Pain in the neck is usually caused due to poor neck posture while working or driving. Muscle Strains: Strain to the neck muscles as a result of overuse and poor posture is one of the foremost causes of Neck Pain/Cervicalgia. Even little things like lying down in bed and reading can also cause Neck Pain/Cervicalgia. Wear and Tear of Joints: As is the case with other joints in the body, the joints in the neck also undergo wear and tear with time and tend to strain leading to arthritis and resultant Neck Pain/Cervicalgia. Compression of Nerves: Any type of disc herniation of the cervical spine or presence of osteophytes in the vertebrae which can compress the nerve roots also causes Neck Pain/Cervicalgia. Trauma: Automobile accidents causing sudden jerking movement of the cervical spine causes injuries which can strain the neck muscles causing Neck Pain/Cervicalgia. Disease Conditions: certain pathological conditions like rheumatoid arthritis, malignancy, or meningitis can be a cause of Neck Pain/Cervicalgia. Therapy: The treating physician will refer the individual to a physical therapist for gentle neck stretching exercises to increase motion, flexibility of the neck muscles, and maintaining good posture of the neck. Immobilization: The treating physician may also prescribe a soft collar for pain relief and immobilization of the neck so that the pressure may be taken off of the neck muscles but this is useful only for a short period of time as using for longer period of time may make the muscles stiff. Aerobic Exercises: Aerobic Exercises is a good way to get rid of neck Pain. These exercises increase the blood flow to muscles and soft tissues of neck and make the neck muscles loose thus increasing the range of motion of the neck. Additionally, by doing aerobic conditioning for about half an hour results in production of endorphins which are the body’s pain killers and they also help in pain relief. Some of the equipments which can be used for aerobic conditioning are using a treadmill, an elliptical machine, or a stationary bike. 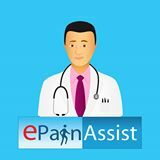 Steroid Injections: After failure of conservative treatments, the physician may refer the individual to Pain Management for series of steroid injections which may provide pain relief for quite some. Surgery: Only in rare cases is a surgical procedure required for Neck Pain/Cervicalgia. It is usually done in cases of severe nerve root compression due to disc herniation or spinal cord compression. Hope the above information helps. For more detailed information on Neck Pain, please click the following link. What is Neck Pain or Cervicalgia? Learn about its Classification, Types, Causes, Pathophysiology, Signs, Symptoms, and Treatment.